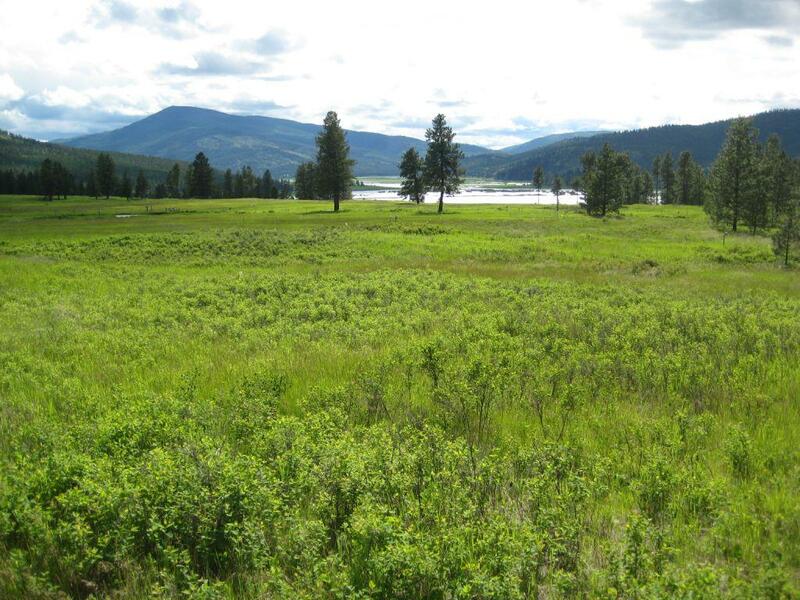 The Flathead Land Trust announced the completion of its latest conservation project, a 305 acre parcel in the Kila/Smith Lake area once destined for a luxury residential development with a private airstrip. The parcel includes both existing agricultural land and critical wetlands. Conservation of the land required extensive cooperation between the land trust and its partners, a local farmer with a need for more agricultural land, and a local bank with the desire for a positive community outcome for the land. This cooperative effort has resulted in increased public benefit to a site already treasured for its beauty, recreational opportunities and important wildlife habitat. The parcel includes 189 acres of critical wetlands adjacent to the existing Smith Lake Waterfowl Production Area (WPA), land that is being added to the WPA through transfer to the U.S. Fish & Wildlife Service. The additional acreage will help insure the biological integrity of the WPA, already one of the most popular bird-watching areas in the Flathead Valley. Farmer Pete Wade worked with the Flathead Land Trust to preserve 305 acres of land near Kila. Also included in the parcel are over 100 acres of open-space land, currently in agriculture. Through the terms of the conservation easement, these traditional farming practices – so important to the cultural and historic fabric of western Montana – will remain. The wetlands, farm fields and riparian habitat along Truman Creek, vital to the ecological integrity of Ashley Creek, Smith Lake and the greater Flathead River watershed, provide important natural habitat for native plants, fish, waterfowl and other wildlife. An additional benefit to the Flathead Valley community is the protection of scenic views for those traveling on U.S. Hwy 2, Kila Road, Smith Lake Road and Browns Meadow Road. The project was completed with a US Fish and Wildlife Service grant secured by River to Lake Initiative partners and administered by the Flathead Land Trust. The Flathead Lakers worked with Initiative partners to secure the grant and continue to work to collaboratively implement projects that benefit water quality, fish and wildlife, scenic views and recreation, and working farms. One Piece at a Time. Flathead Land Trust celebrates its 50th conservation easement, protecting 305 acres in Kila, in the Flathead Beacon, by Justin Franz, October 13, 2012. Birdsong Tree Farm gives gift of conservation to future generations, Daily Inter Lake, by Melissa Walther, March 5, 2013. See Article.